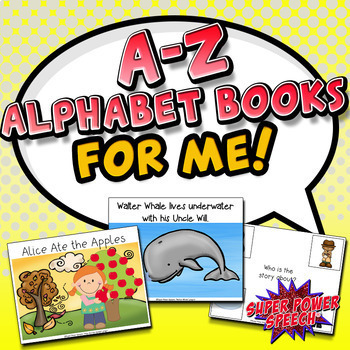 A-Z Alphabet Books for Me! Note: This is a zip file. Please make sure you have the appropriate software to open a zip file. ❤️"These are AMAZING! We use them every week and my kids love them!" ❤️"These are fabulous! 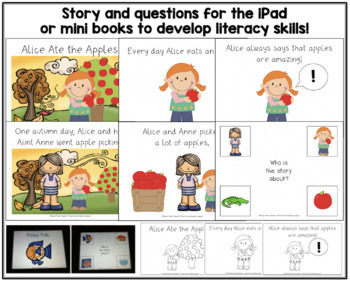 So many different ways to use them!" 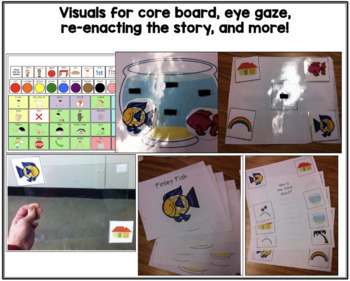 ❤️"Thank you for a great resource to use in the classroom with students with complex communication needs." Hi! I'm Cheri, SLP and doctoral student. I'm an Ivy League graduate and creator of one of the first and longest running speech therapy blogs in the world, Super Power Speech. Since graduating with my master's degree in 2000, I have worked in schools, clinics, hospitals and private practice. I am a national presenter and have taught students around the world in my online courses. In my free time, you can find me playing soccer with my two teens or reading three books at the same time (in front of the fire, while crocheting).